Hello fans! It’s El Bolso again. I was planning to take this week off after the end of the Apertura tournament, but there’s one thing I just needed to weigh in on. Get ready for a crash course in Uruguayan sport politics. In Uruguay, as in most of Latin America and Europe, sports clubs are not owned like they are in the US; they’re public organizations. Leaders are elected by club members (fans who pay some sort of fee to participate in club politics and make use of club facilities), not hired by some weirdo billionaire with a God complex. At least that’s the theory. There are plenty of examples of clubs where the elected officials are figureheads who take their orders from some heavy investor or a shady agent. But that’s a discussion for another day. The point is that a club’s leadership is beholden to the fans in a direct way, and every so often elections are held. This past weekend, it was Peñarol’s turn. 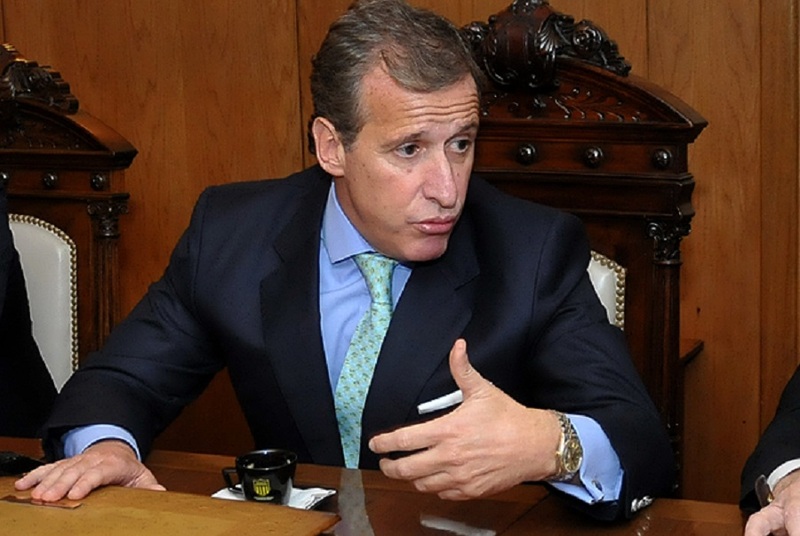 Incumbent Juan Pedro Damiani has been in power for the last six years and was going for his third consecutive three year term. Actually, Damiani has been in power for eight years, ever since the previous President, José Pedro Damiani (yes, that’s his dad), died while in office. Because elections are sooooo 20th Century, the younger Damiani just sort of took over his dad’s thron… er… office and ran the club for two years before finally holding elections. But hey, Damiani Sr. had been in power since 1993, so his son can be forgiven if he assumed the job was a family heirloom. So, if you want to keep score, the Damiani family has been in charge for the last 22 years, a period that has seen the formerly great Manyas win no international titles and, after a great run of five straight local championships between ’93 and ’97, barely a handful of trophies of any kind. So how did they manage to stay in power so long? Well, for one thing, leadership change has not been Peñarol’s strong suit over the last century. Here’s the list of top job holders since 1958: Gastón Güelfi (’58-’73), Washington Cataldi (’73-’84 and ’90-’93), Carlos Lecueder (’85-’86), Damiani Sr. (’88-’89 and ’93-07′), and Damiani Jr. (officially ’09-present). That’s five guys (mmm…. Five Guys) in 56 years. So the fans are used to seeing the same faces around year after year (and what an attractive bunch they are!). There’s also the fact that the Damianis are known for their political skill: announcing future player signings a week before the election (or, as happened this time around, getting everyone’s choice for new coach to say he’ll only come if you get elected), holding out the promise of finally building the team its own stadium co-opting opposition by bringing its leaders into the fold, etc. And there’s the matter of the club being millions of dollars in debt to the family (debt that was incurred, coincidentally enough, during the elder Damiani’s reign), and the ever-present fear that, if these guys were ever to lose an election, they’d just demand their money back and bankrupt the organization. Or so the gossipmongers say. 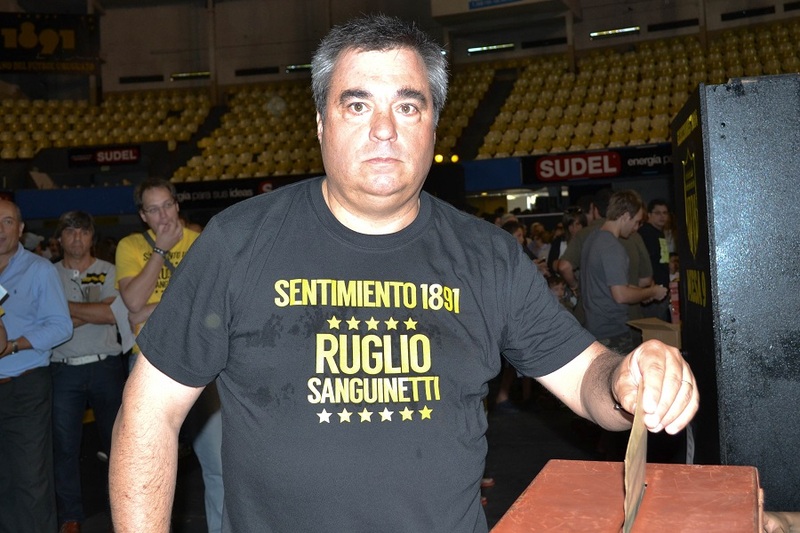 In any case, with fans tiring of the royal family and Peñarol mired in a poor run in the Apertura (finishing 17 points behind Nacional), it was thought that this was the time to finally end the Damianis’ stranglehold on the Presidency. However, honey attracts flies, and the opposition ended up fracturing into three different candidates. This allowed Damiani to win the election with 41% of the vote, because runoffs and simple majorities are for suckers! The three opposition candidates gathered 29%, 16%, and 14%. So Damiani will rule until 2017 and will then step down for good, or so he claims. I’m pretty sure three years ago he said he was running one last time. Look, I’ve always been a pro-democracy kind of guy, and I’m happy that Nacional has gotten into the healthy habit of changing Presidents every five years or so. Even more important is the fact that the various factions within the club seem to have learned to get along and work together for the good of the club, even when their own guy is not sitting on the main chair. I think that’s a big reason why the Tricolores have enjoyed so much success over the past two decades, both on and off the field. That’s why the club’s youth divisions have great facilities and unparalleled support services; no drinking water out of a garden hose or having multiple teams reuse the same sweaty jerseys here, unlike what happens at some other institutions. That’s why the club bottom line is in the black, rather than beholden to the same people who win all the elections. That’s why Nacional was the first one of the two big Uruguayan clubs to stand up to all-powerful contratistas (agents) like Francisco “Paco” Casal and start selling their most talented players directly to European powerhouses. Sure, on-field success is cyclical, but it’s easier to build a winner when the people calling the shots spend their time working for the good of the club rather than thinking about the next political maneuver that will get them three more years at the head of the table. Look, if you want to look for a silver lining, it’s the fact that Damiani failed to win a majority of the vote, which means the opposition will control the Executive Council. But hey, if not being elected didn’t stop this guy from making all the decisions, I doubt this is going to do much. Still, it’s a sign that the club’s fans may finally be realizing that it’s easier to make good decisions when everyone gets to throw in their two cents. And that’s it for today, friends. 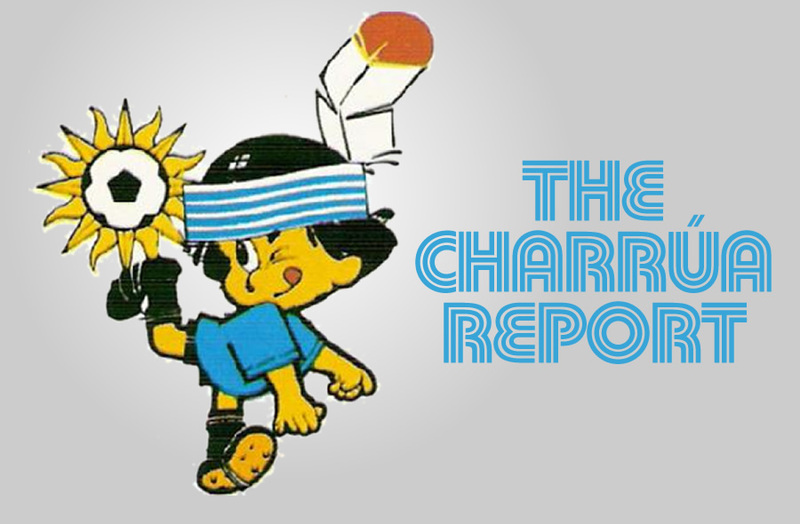 The offseason’s started and there are plenty of rumors to discuss about who’s going where and who isn’t coming back for the Clausura, but since 90% of those end up being completely false, there’s plenty of time to tackle them some other time. Congratulations to Martín Cáceres, Edinson Cavani, Luis Suárez and Diego Godín for making FourFourTwo’s list of the top 100 players in the world for 2014, and to Luisito for scoring a goal and setting up another in Barcelona’s 3-1 Champions League win against PSG. Don’t feel too bad for Edinson, though, as both teams move on to the knockoff rounds. You know who isn’t moving on? Liverpool FC, that’s who. Who knew getting rid of your best player could come back to bite you?